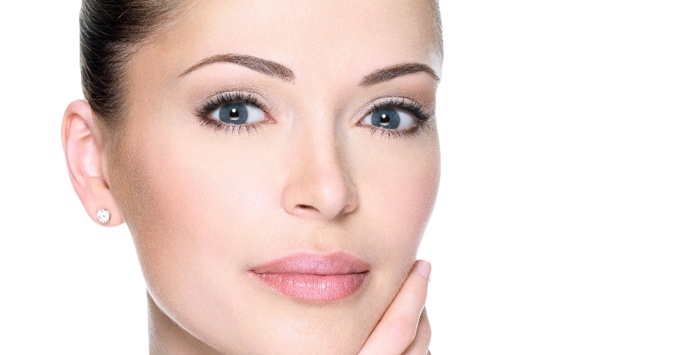 The aging process often results in a loss of volume in the cheek area of the face. 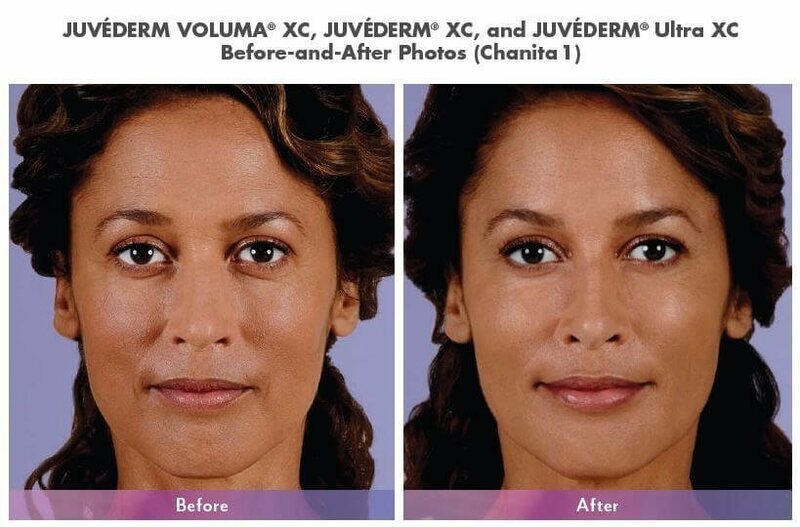 Previously, patients were unable to do much about this loss of volume, but thanks to a revolutionary new product known as Juvederm Voluma™ XC, those in Jupiter, Palm Beach, and throughout Palm Beach County can have plumper facial features by visiting Supriya Dermatology. 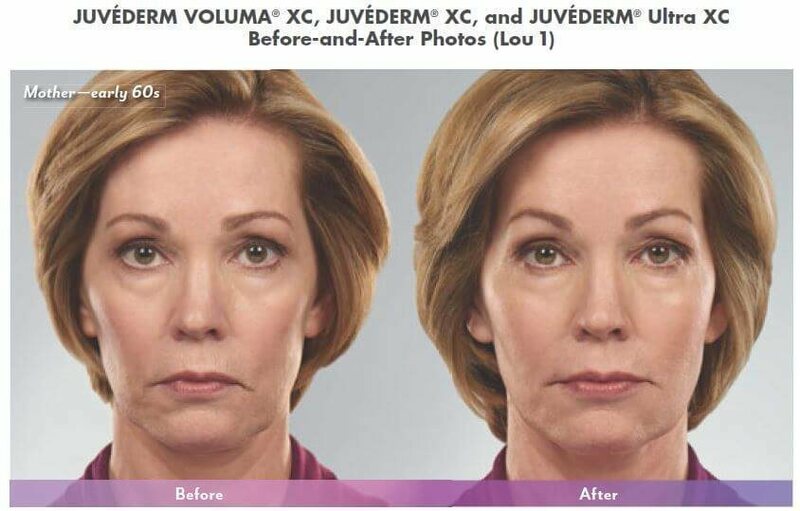 Juvederm Voluma™ XC is a facial filler that is manufactured by Allergan, the same company that also makes Botox® and Juvederm®. What’s different about Voluma™ is the fact that it has been approved by the FDA for injection into deep tissues of the cheek area of the face. When injected, it adds volume to this area that can often be lost as a person ages. In addition, it can also smooth out wrinkles near the nose and mouth, thereby providing a smoother and more supple appearance to the skin. How is Juvederm Voluma™ XC administered? A physician will inject Juvederm Voluma™ XC into deep layers of tissue on either side of the face. It is performed here at Supriya Dermatology on an outpatient basis, and no anesthesia is required at all. The procedure normally takes around 15 to 30 minutes to complete, and can even be done on a lunch hour. How long will results from Juvederm Voluma™ XC last? The results of Juvederm Voluma™ XC injections can be expected to last for up to two years. Those who are between the ages of 21 and 65 and in overall good health can easily undergo Juvederm Voluma™ XC injections. Patients who are taking blood-thinning medications should consult with a physician beforehand. Pregnant and nursing mothers should forego this procedure since the effects of Juvederm Voluma™ XC on an infant are not known at this time. How much does Juvederm Voluma™ XC cost? Skin rejuvenation treatments are considered to be elective, so most insurance providers won’t cover the costs. To help make Juvederm Voluma™ XC affordable and accessible for everyone, Supriya Aesthetic Dermatology offers financing options via CareCredit®. We also accept cash, personal checks, and major credit cards. Contact us today if you have any questions about the cost of Juvederm Voluma™ XC. 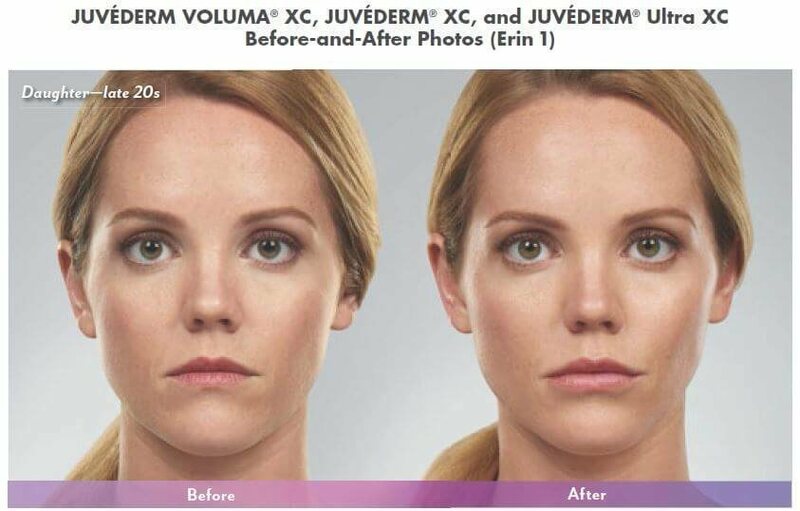 Juvederm Voluma™ XC is a revolutionary new treatment that can help people look younger in more ways than one. Schedule an appointment with Dr. Supriya Tomar in order to obtain the benefits of this new dermal filler for yourself. If your goal is to look younger, you could obtain better and longer-lasting results from Juvederm Voluma™ XC than any other filler. Those in the Palm Beach County, Florida area, including the cities of Jupiter and West Palm Beach, can contact Supriya Dermatology at 561-805-9399 to find out more.